Edoardo Bianchi started making bicycles in Milan in 1885. In 1899, built the first car (a motorized cart with a single cylinder engine), and began mass production in 1900. In 1901 improved its single-cylinder engine, reaching an output of 8hp. The continued production of bicycles, and along with cars, manufactured motorcycles and commercial vehicles. Their cars were characterized by the quality of their materials and for its robust structure. 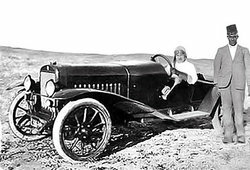 Edoardo Bianchi, with the help of Giuseppe Merosi (best known for its links with the brand Alfa Romeo), which between 1906 and 1909 developed their engines and also some competitive cars as the 8 liter Type 20hp 1906. The S1 was launched in 1915. It was a two-seater utility vehicle with a 1244cc engine. 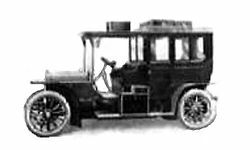 After producing commercial vehicles for the army during the war, introduced in 1919, the S15. This model ended up with the idea of utilitarian cars and continued with the previous trend of making luxury cars. Driven by a 4-cylinder engine and 1693 cc. could reach around 70km/h. In 1922 came the S18 with a 2 liter engine and in 1925 introduced the S20 model of a 2293cc, 50hp. Nearly 900 cars were built between 1924 and 1929. In mid-1924 appeared W S4, powered by a 1287cc engine and 30hp. 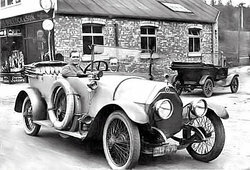 It was a car for general use and which offered better results when testing. In 1927 incorporates several improvements to the model and became the S5, which incorporated a slightly larger engine. In 1932 he was again the engine power to reach 1452cc. In 1931 he introduced the S8, a car with a bigger engine, 8 cylinders and 2904cc. The most significant was the Bianchi S9, introduced in 1934 with a 1452 cc engine and 42 hp. The S9 was a steel car of four conventional doors. The engine gave traction to the front wheels and the subsequent suspension was flat springs. Although the factory was destroyed in a bombing during the war, was rebuilt and began operating again in 1946. That same year Edoardo Bianchi died in a car accident and that fact marked the decline of the company beset by an increasingly competitive market. Bianchi as the company continued until 1955 when it was formed Autobianchi with the signing of an agreement with Pirelli. But that is a different story.